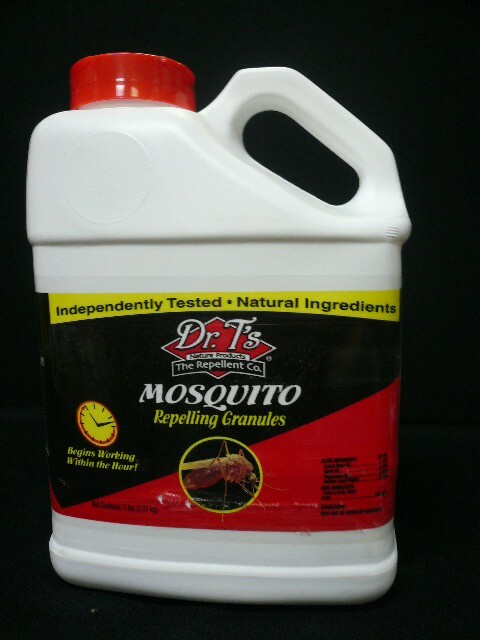 PRODUCT DESCRIPTION: Powdery material which is applied by sprinkling over turf, plant areas and the perimeter of where you want to repel mosquitoes, gnats and other flying insect pests. Slight odor which is not detectable after a few hours. WHERE TO USE IT: Around the perimeter of where you want to keep pests away. RATE OF APPLICATION: 1 lb will treat around 600 to 800 sq/ft. This will vary depending on soil moisture, rain, humidity and other factors. In dry environments, you can expect it to cover more area and last several weeks. In moist, damp areas coverage will be less and the length of residual will be shortened as well. My backyard was so bad I had to wear a mask to water the garden and shrubs for more than about 2 minutes. In addition to normal family use of the yard, we had a 4th of July party coming up that I needed to debug for. I was skeptical of any product that claimed to be non-toxic, pet-friendly and not smelly but also potent enough to work. 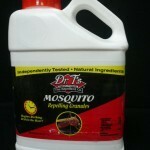 I bought 5 lbs of the MOSQUITO GNAT FLYING INSECT REPELLENT GRANULES and tested the area around my garden and it worked miraculously! I then covered my back yard a couple days before the party. Even though we had drenching rain hours after application and for about 36 hours leading up to the party, the yard was nearly clear of gnats the whole day. I will be buying more today, and have already started recommending this product to friends and family! THANK YOU! How long after applying do I have to reapply? It varies from yard to yard but in general, one treatment can last 1-2 weeks.